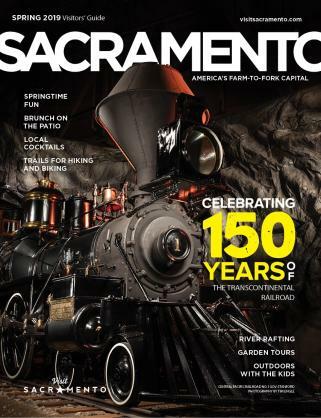 SACRAMENTO, CALIF - Have you ever considered wine tasting in a refurbished sugar mill or hardware store? Probably not, but that&apos;s exactly what you can do just 20 minutes south of downtown Sacramento. The Old Sugar Mill is home to a unique community of six California wineries and their signature wines: Todd Taylor Wines, Three Wine Company, The Solomon Wine Company, Heringer Estates, Clarksburg Wine Company, and the Carvalho Family Wines. The majority of the vineyards are located in the Clarksburg AVA (American Viticulture Area), an area where vineyards share the same morning fog and cool breezes from the San Francisco Bay that shape the growing seasons in the vineyards of Napa and Sonoma. The Old Sugar Mill has two annual events, the Port and Chocolate party in February and the big crush festival in September. The wineries collectively produce a number of varietals including Chardonnay, Sauvignon Blanc, Chenin Blanc, Zinfandel, Cabernet Sauvignon, Pinot Noir, Sangiovese, Primitivo, Tempranillo, Syrah and Charbono. The sugar refinery was built in Clarksburg in 1934 during the Great Depression. Sugar beets were the principal crop in the area at that time and at its peak the refinery processed 900,000 tons of sugar beets annually. Economic pressures forced the refinery&apos;s closure in 1993 and after an extensive renovation opened in 2002 as a premier tasting and events venue. Husick&apos;s Country Store dates back to the late 1800s and is just a few miles south on the River Road. The former hardware store once supplied farmers in the agricultural community and now features wines from the Clarksburg area, sandwiches, salads and other food products in a charming, laid-back environment. Bogle Winery is the largest and best known winery in the area. The Bogle family has been farming since the mid-1800s, but it was only in 1968 that the family planted 20 acres of wine grapes and established the winery ten years later. Family-owned and operated since the beginning, Bogle is especially known for its award-winning Chardonnay, Petite Sirah and Zinfandel releases. Bogle now farms 1,200 acres of wine grapes in the fertile Delta region and produces one million cases of wine annually. The airy tasting room and grassy picnic area amidst vineyards invite visitors to stay and relax. The Delta is an intriguing labyrinth of waterways formed by the confluence of the Sacramento, Mokelumne and San Joaquin rivers as they flow into the San Francisco Bay. With 1,000 miles of meandering channels, rivers, sloughs and cuts, this fresh-water system offers an abundance of water activities in this decidedly laid-back community. 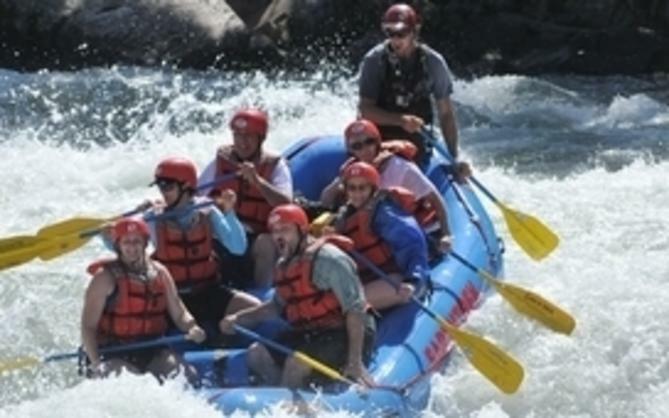 With quaint historic towns that have changed little since the Gold Rush era, the Delta offers a delightful day trip from nearby Sacramento along scenic Route 160. Locke, on the east bank of the Sacramento River, is America&apos;s only rural Chinese town. Built by and for the Chinese in 1915, the town is on the National Register of Historic Places. The county has helped to preserve the wooden sidewalks and old clapboard buildings sandwiched together on two narrow streets. The Dai Loy Museum, a Chinese language school and Al&apos;s Place are must-see stops in this historic town. 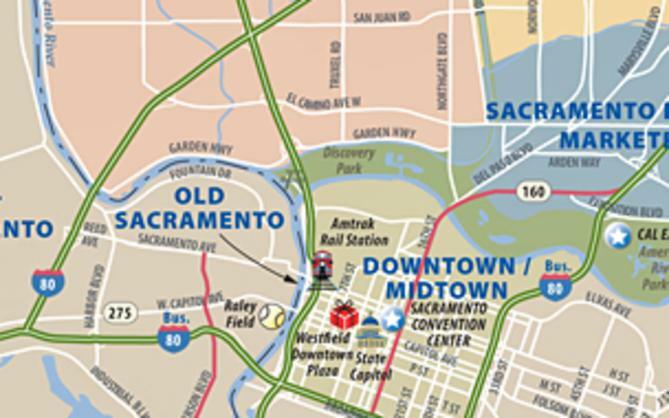 Please visit www.discovergold.org for more information about Sacramento and the surrounding area.